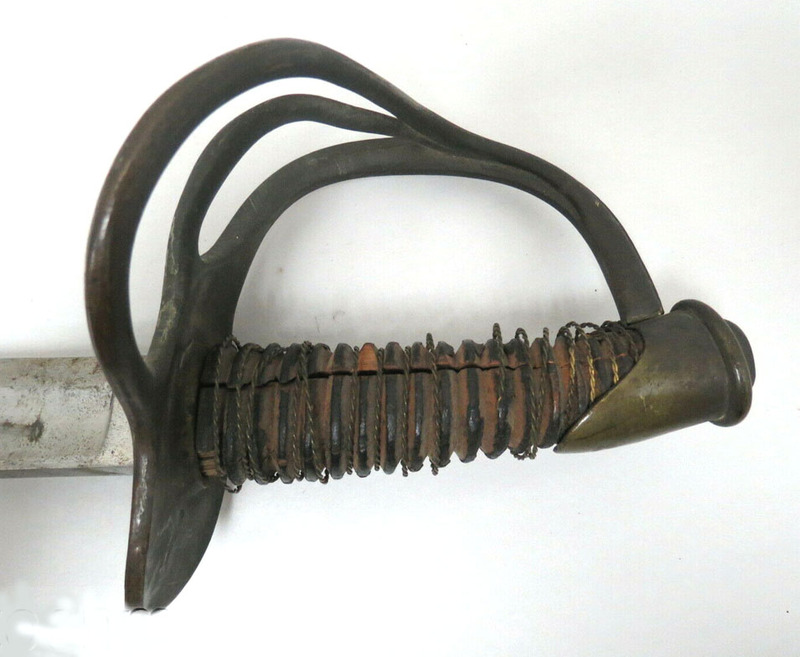 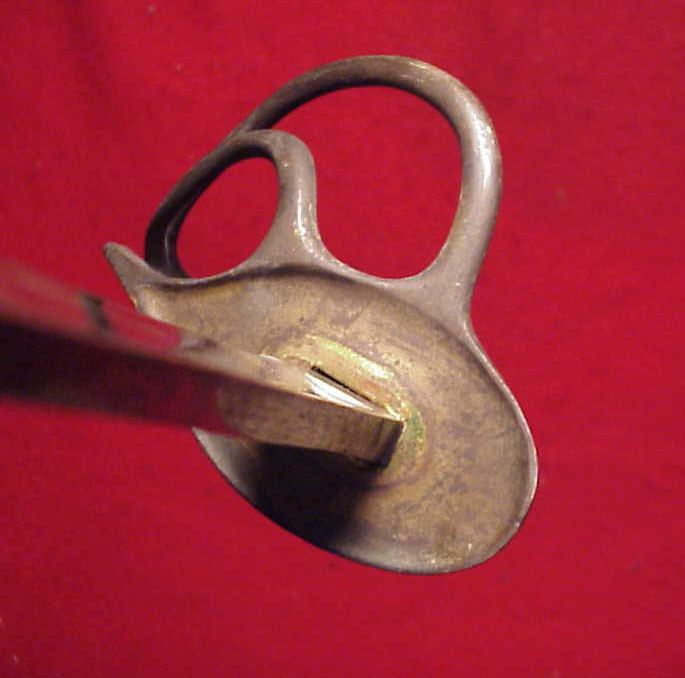 This is a heavier Model 1840 Union cavalry sword marked on ricasso by maker: Sheble & Fisher Philada. 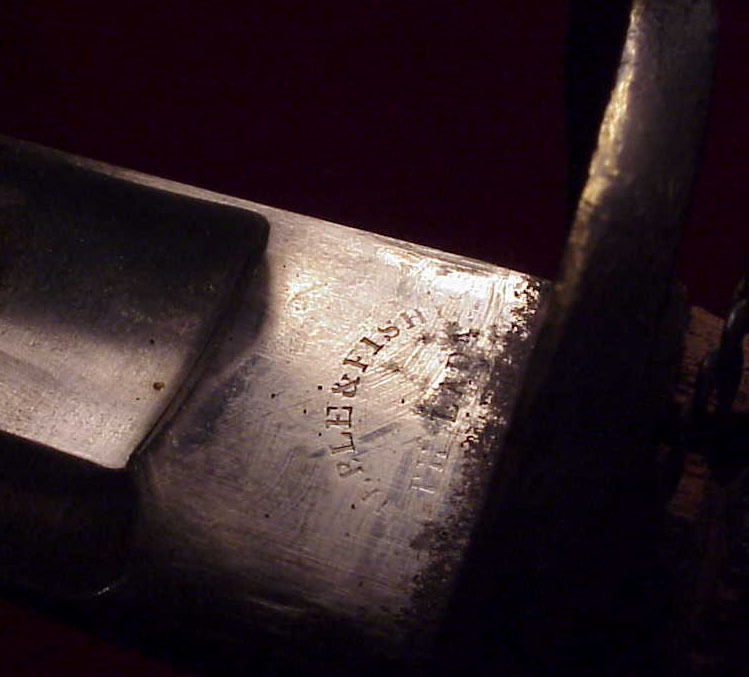 It comes with its heavy iron scabbard that fits its full blade length well. 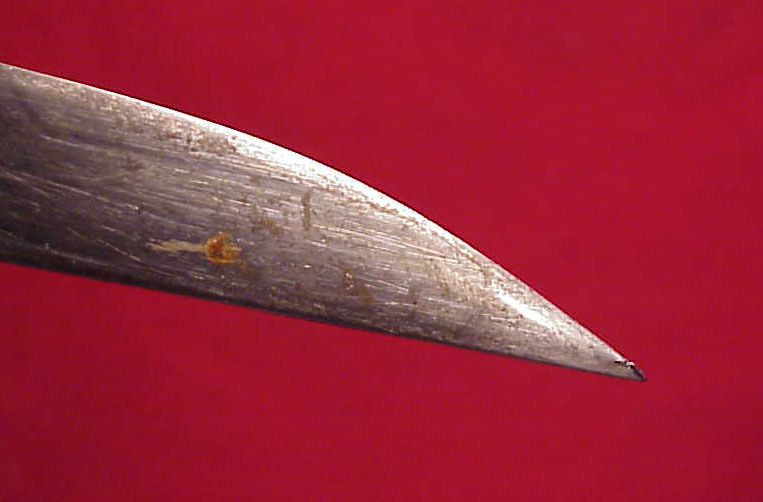 The grip is tight to blade, which has a mix of bright shine and minor dark peppering. 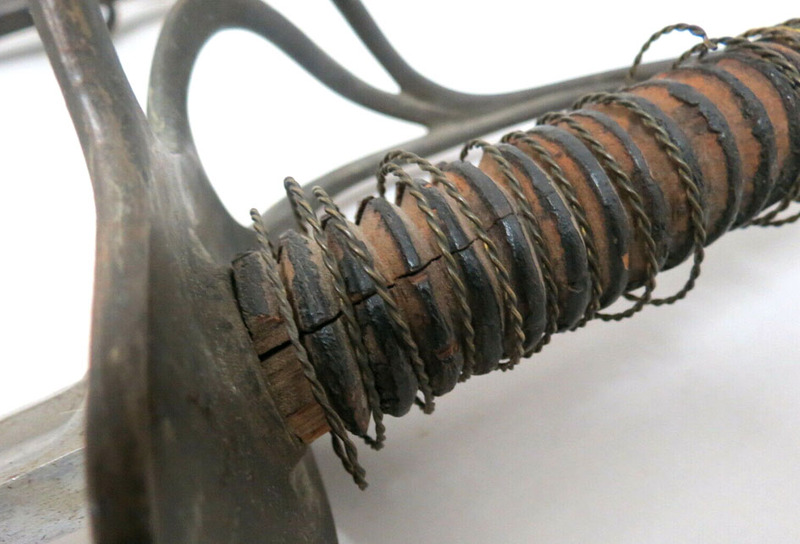 The leather on wood grip is mostly gone but brass wire wrapping present. 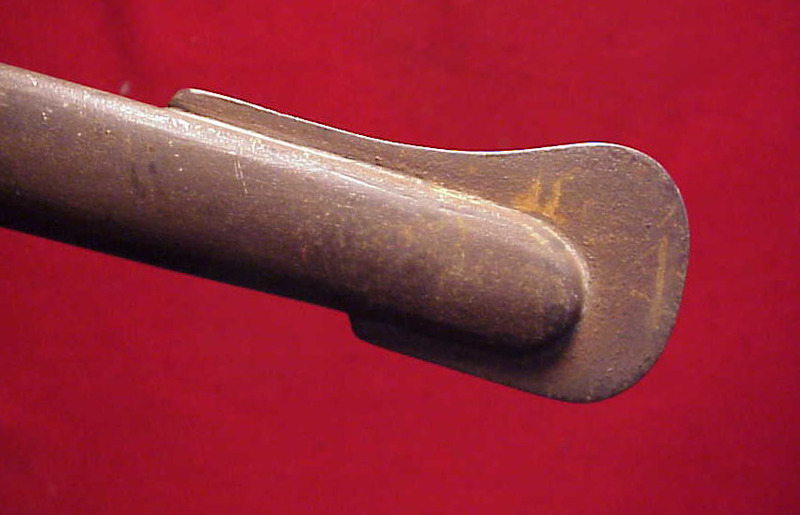 Though solid, there is an age crack in wood grip from drying over the years. 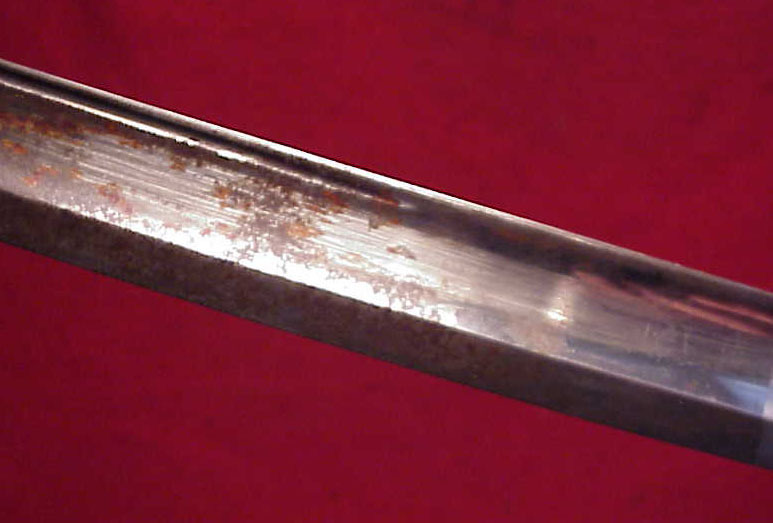 No other markings. 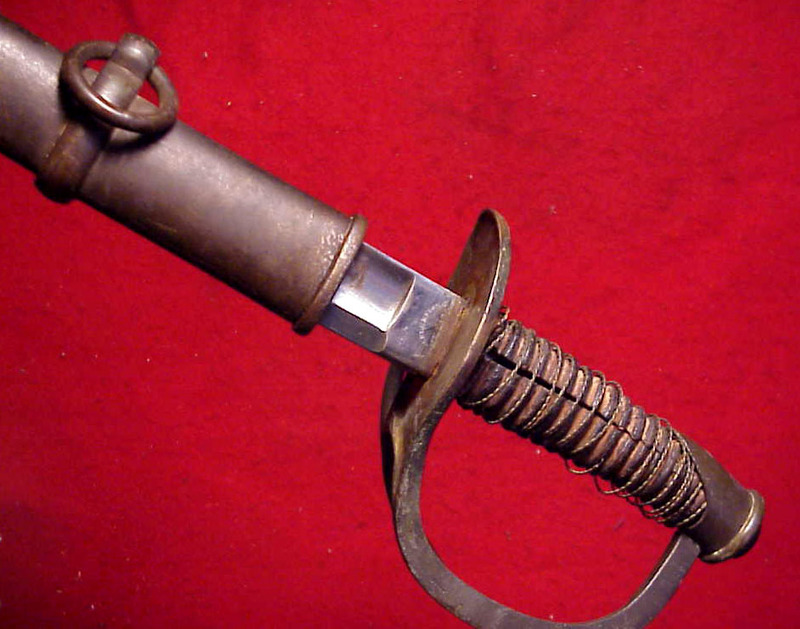 A nice "been there" cavalry saber and scabbard.